Information can be transmitted, shared and read electronically around the world almost instantaneously. However, even as information has become increasingly digital, printed materials still play an important role in business and government operations. The Washington State Auditor’s Office published an audit October 31, 2016, that focused on the state’s printing services. The audit followed up on a 2011 audit that made recommendations to reduce the state’s printing costs. While the audit focused on the state’s centralized printing services provider, Printing & Imaging (P&I) within the Department of Enterprise Services (DES), its findings and recommendations may also be helpful to many other governments as they try to minimize spending. The audit examined whether P&I’s competitive bid process helps ensure economical and efficient printing for the state. Under current law, state agencies may choose to use P&I or private vendors for their printing needs, but they must consult with P&I on all their solicitations. P&I prints about 70 percent of the jobs itself and outsources the other 30 percent to a pool of qualified vendors. The audit found that while P&I’s process includes seeking competitive bids for the work it outsources, which helps to lower costs for those jobs, it is difficult for P&I to demonstrate that the prices it charges for the jobs it prints itself are competitive. Gathering and analyzing more price-comparison and vendor-performance data could help P&I save the state money if it adjusts its business practices based on the analysis. The audit also examined whether DES is promoting print management strategies to state agencies. Print management is an overarching term that refers to the techniques an organization uses to manage all its printing operations, from desktop printers and self-service copiers staff use every day to large jobs printed offsite by vendors. Print management can include tracking what and how much an agency prints, optimizing printing equipment to best fit an agency’s needs and minimizing the volume of material it prints. State law and rule now require agencies to adopt certain print management strategies. All agencies are required to adopt policies, standards and procedures governing the management of their print operations. In addition, agencies with more than 1,000 employees are required to engage private vendors to help them assess their printing needs, optimize their equipment to meet those needs and reduce printing costs. DES created guidelines to help agencies meet these requirements. DES emailed a link to the guidelines to the head of each state agency, and published them on the DES website. The guidelines explain strategies agencies can use to reduce printing costs from making double-sided printing the default option on printers to gathering support from executive management and staff. The audit also cites industry sources that report print management strategies can result in considerable savings. 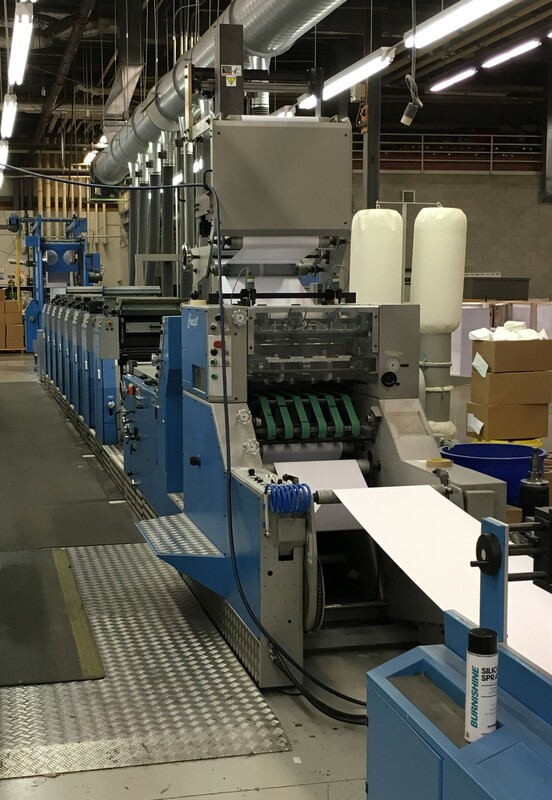 Specifically, they state that by assessing needs and right-sizing equipment, purchasing equipment competitively and developing policies to keep the printing environment optimal, organizations can save between 10 and 30 percent on printing. Auditors estimated the state could save between $3.9 to $11.7 million per year if all agencies fully implemented these strategies; however, without complete information on agencies’ progress, they could not determine how much of this amount the state has already saved through partial implementation. The audit recommends that DES publish information on agencies’ progress in implementing print management strategies, and requests that they also report their baseline costs and how those costs change over time so decision-makers and the public can monitor their progress.